He's taller than you'd expect. I mention that after he enters the room with a big smile, as he shakes my hand. "Chubby dudes always look short on TV," he responds with a chuckle. "And skinny guys always look tall... I met some guys I assumed were giants and they were tiny. TV perspective fools us all, I guess." It has been years since Mr. Sligh has really done interviews. He left the music world, and a major label record deal, back in 2011, after his daughter was born and he felt "called back to full-time church ministry". He spent six and a half years working for three churches across America, working his way into being the creative lead for two of the top 100 larges churches in America, culminating with his last job as creative director for a church of 8000 outside Chicago. I met Chris back then and the years seem to have changed him. He is still intense, with a razor sharp wit and the ability to intelligently discuss anywhere conversation takes us; but he softer now. Kinder. Warmer. "I look back at the 'Empty Me' days, and I was so out of touch with what was happening inside of me, emotionally. I could write a song like 'Empty Me' and truly believe that I was living it, but deep down I was looking for confirmation that I was good - no, that I was great. I needed confirmation, to feel like this thing that I had chased and fought for and given up relationships for was worth it, and it was only worth it if people knew my greatness... I had mistakenly come to believe my legacy was my art, my work, my music, and I wanted to leave a mark. I wanted to be known as great. "Now, I'm not sure how much I think that matters." "Well, it seems like such a cliche, but... love. Love matters." Chris Sligh does not typically barter in cliches. He's an award-winning songwriter and screenwriter. Words are his medium. He works hard to say things precisely and with clarity. So when he uses a cliche it stands out. "I grew up in legalistic Christianity. When I left it, I probably let too much of it go; or maybe I held onto stuff I shouldn't have. I would've told you seven, eight years ago that I loved people, but that love was a judgmental, condescending kind of love, it was 'tough love', it was an arrogant 'I can help you be better' or 'I can show you better' kind of love... and I'm not so sure anymore I think that's really love"
"Well - I think that when you look at Paul's first letter to the Corinthians, he gives this list in chapter 13 that is considered to be the best explanation of real love. But what most people don't catch or forget is that I Corinthians 13 is basically the fruit of the Spirit from Galatians 5 with more explanation. Same words, same basic list. "So I have come to really believe that living love is to live out the fruit of the Spirit. When I am kind, I show love. When I am patient, I show love. When I have joy - not just the joy that comes from giving someone a hard time (like I used to, a lot), but - real joy that comes from living in the love of God, then it expresses love to those around me. "So I have come to realize that the work isn't all that important. Like - I want to be a great songwriter and producer, but while it was once and obsession, now if anything is that, it's trying to love people." The new outlook on life doesn't change the fact that Mr. Sligh has had more success than the average musician, as an artist, as a producer and as a songwriter. The list of musicians who can boast of writing a number 1 song in a genre not their own, while writing multiple top 10 songs of their own is not incredibly long comparatively. But Chris wrote the #1 "Here Comes Goodbye" for Rascal Flatts (along with songwriter and producer Clint Lagerberg), and for a handful of years he was a mainstay on Christian radio, with hits ranging from Soft AC/inspirational to CHR. But he also left the business after a highly successful major label debut Running Back to You and the middling success of his sophomore album The Anatomy of Broken, and spent the last six and a half years away from the spotlight, working in the church world. "I needed to get away. For my own sanity. For my marriage. For my kids." He takes a deep breath, thinks through the past several years. Then, "I had to learn the lessons I learned while I was away. I had to learn to love; that the work isn't the important thing; that people are more important than success, whatever that may be in any given situation. "I had to actually believe those things, not just have them be intellectual theories I had head knowledge of; they had to be ingrained on my heart. "I gave up my music career back then. I laid it on the alter. I never thought I'd do this again. But then... God brought it back around." 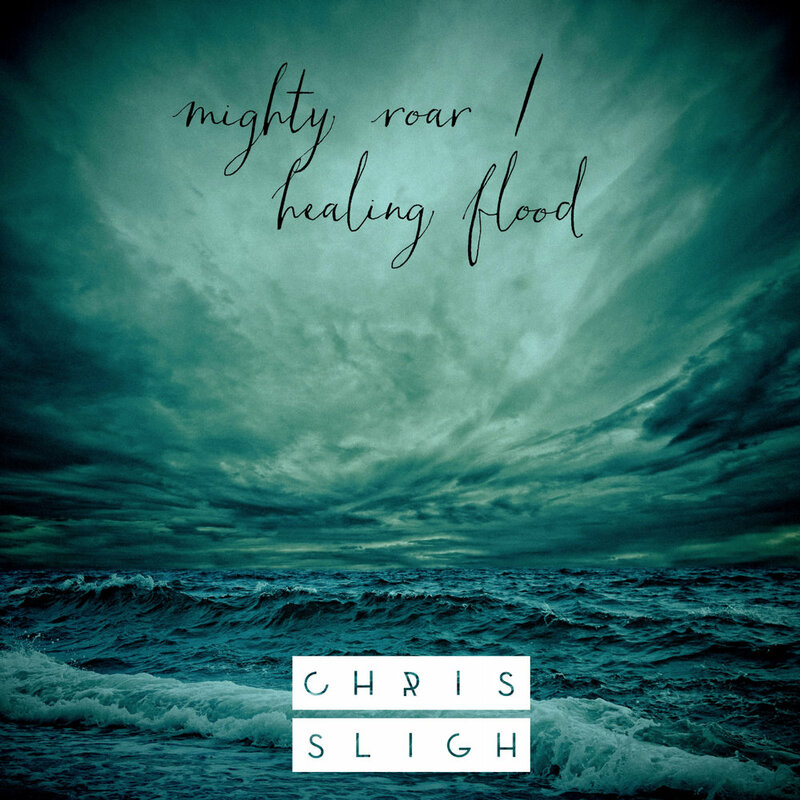 In 2016, Sligh released his first new album in six years, Mighty Roar / Healing Flood. The album's reception was a surprise to Sligh, becoming one of 2016's better reviewed CCM pop albums. Jesus Freak Hideout said, "This is a great 'sit-down-and-listen-though' album"; CCM Magazine said, "Sligh has been proven as a gifted songwriter and vocalist, and both remain very clear on Mighty Roar… even as he enjoys exploring new influences"; New Release Today said, "It seems the almost four year wait for new music was exactly what Chris Sligh needed to produce an album unlike any he's ever released before. The electro-pop vibe runs from beginning to end, even in the more worship-focused tracks, which creates a diverse listen and shows his growth as an artist since the last release." And over the past year, Chris began to dip his toe in the touring waters again. "I have to admit, I was scared of touring. I can be an intense dude. I don't typically do things half-way. Back when I did it before, it consumed me, and it was hard to be married and I don't know how I could have been a father then. "But over the past year as I've gotten back into touring I have realized that it's the angle you take on it that changes the experience. Before it was about the work. Now it's about the people. "When I go into a church now, it's a totally different experience. I want to know these ministries. I want to know these pastors and worship leaders. I want to do more than just do a good concert and get out of there. It's far more taxing emotionally, but also far more rewarding. And honestly making it about relationship reminds me constantly that my most important relationships are at home." "I want to do something different now. I believe my legacy in the end will not be the albums I make or the songs I write or the shows I play. My legacy will the be the relationships I foster, the service I render to those around me, the way I am remembered to have loved. "So if you see something different in me, maybe that's it? The value has shifted from the work to love. Sounds simple, I know. But man did it take a lot of work." Chris Sligh has just announced his new album "A Modern Liturgy" due in Spring of 2018 and is currently booking for all of 2018, in churches all over the United States.